Our Specialty Cases are easily assembled and disassembled with sixteen thumb screws. 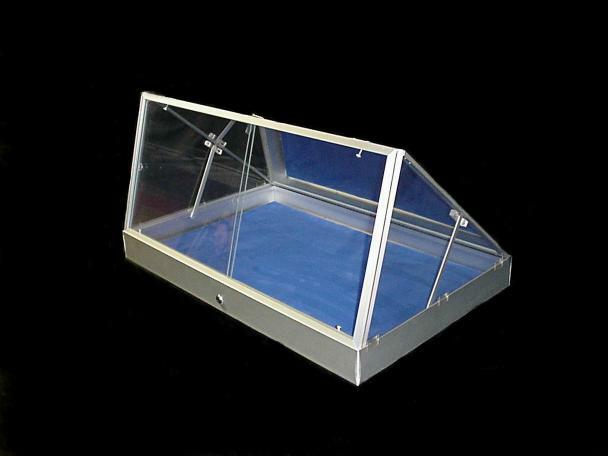 Front, sides and top are tempered glass for excellent visibility of merchandise. 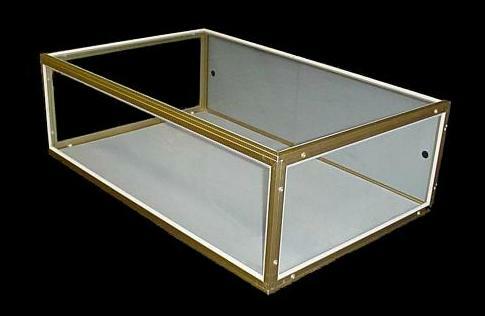 These cases include a rear security panel with sliding acrylic mirrored doors. A sliding door lock (SDL) is available for the doors. Completely encloses case for maximum security. Easily attached to case with thumb screws. 2 bypassing sliding doors and aluminum frame. Fits model #125 or #150. Case sold separately. 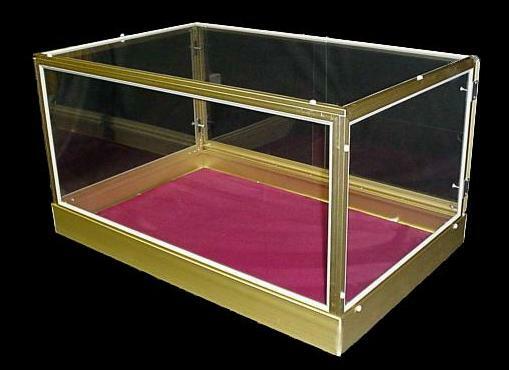 22" x 34" x 18"
17" of interior height allows you to display large items. Easily assembled and disassembled with 12 thumb screws. Front, sides and top made of tempered glass for excellent visibility. Includes rear security panel with sliding acrylic doors. 22" x 34" x 11"